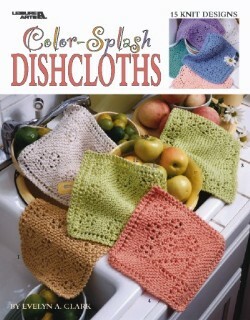 Add a splash of color and a dab of fun to your kitchen chores with these 15 knit dishcloths. They're great for shower gifts, and you'll want to make extras to keep on hand for wipe-ups. Cotton worsted weight yarn ensures absorbency and durability. Leaflet - 20 pages by Leisure Arts.